Meet A Cowboy is a website that is totally country and it is obvious from the get-go. When you first log in, you are met by a beautiful, young couple wearing hats and inviting you to join the community where they met. The background has brown tones and when you look closer, you understand that it shows a couple of cowboys at sunset, against a beautiful sky. The text that welcomes you is clearly written for the ladies who are looking for a new cowboy acquaintance, but that in no way means that guys are not welcome at Meet A Cowboy. If the guys didn’t also have memberships to this website, it would be difficult for all the ladies to meet cowboys, right? In fact, the membership is equally male and female, but that is something you learn later. If they asked us, we would have advised them to perhaps rethink their intro and approach as it may turn the guys off the website. We have already mentioned the design but we like it so much that we feel we should mention it once again. The design is particularly attractive before you become a member as you are constantly met with attractive people who enjoy a country lifestyle and who are inviting you to join the website. Also, the aforementioned background picture makes for a very atmospheric invite. Once you become a member, the design becomes simpler and the color scheme turns to mostly white, with details in black and the brown which welcomed you so effectively in the beginning. If you are worried that this switch in design is too noticeable and that it ruins the experience, you should not be. The simple design and the simple color scheme make for an experience that is easy on the eyes and allows easy navigation. The user experience is exquisite thanks to the great design decisions that make the website extremely functional. You will never find yourself digging around the website, trying to find that one feature that you need. It is all quickly available and easily accessible. 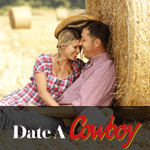 The features that are available at Meet A Cowboy are all aimed at an efficient and quick dating experience. The profiles are elaborate, with plenty of photos in most profiles, which will help you decide whether someone is attractive to you or not. The matching feature works in the background but finds you the perfect match every single time. Furthermore, you can contact your new interests via instant messaging or by sending them flirts. They can then ignore them or send a flirt back, which is the more common outcome. In addition to this, the website boasts a chat feature that is very lively most of the time and where you can pass the time before your particular interests log on and continue your interaction. We have to say that we did feel the features to be somewhat barebones at times, but after prolonged use of the website, it becomes obvious that this website is a pure dating website and that it is a conscious decision to do away with the fluff and the unnecessary features. One of the biggest selling points of Meet A Cowboy is definitely the membership base, which is a large one, with new members becoming active on daily basis. Furthermore, the members are mostly very active and you will very rarely encounter inactive or fake members that you often see on other dating websites. A great thing about Meet A Cowboy is that there are also a number of members from big cities. This is an important fact because many country dating websites are quite lacking when it comes to urban cowboys and cowgirls. On Meet A Cowboy, this is not an issue. The membership is also quite varied when it comes to their age, with mostly young membership but with enough older members as well, middle-aged or even older. 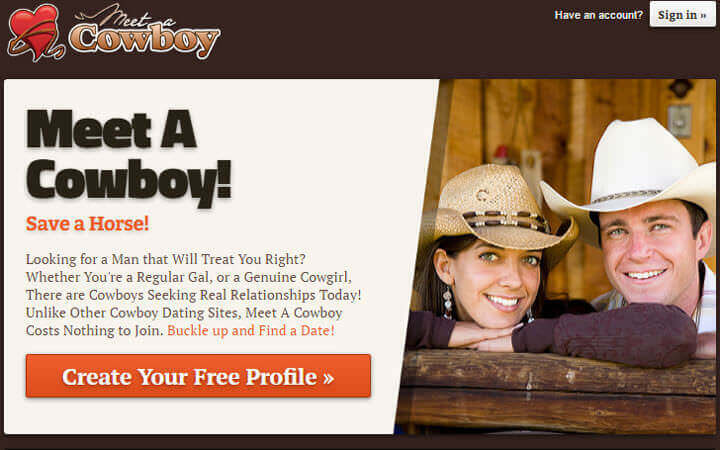 Meet A Cowboy is a dating website made by country folk for country folk. On every step, you will feel at home, with gorgeous people who enjoy a country lifestyle and who are always ready to meet new people who share their interests. I didn’t like the other dating sites, they seemed to fancy and complicated, but Meet A Cowboy was different. I was able to find dates within hours, just because it’s so well organized and simple. Flirts are a good way to start a conversation but my matches weren’t what I expected, so I was quite bored. Still not giving up, though. People here aren’t online that often. What’s the point of having an online dating profile if you’re not online? We need more women here! I keep getting matched with the same women and I don’t like any of them. Also, people should put better pictures on their profiles – if I can’t see you, I can’t like you. I enter the chatroom from time to time, but there’s practically nobody there, so I feel like I’m sitting alone in an empty room with a few creepy dudes just staring at me.